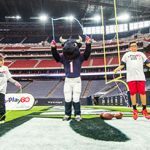 Texas Children’s and the Houston Texans capped off this year’s fun-filled PLAY 60 Week by cheering on the Houston Texas as they played the Indianapolis Colts in the 3rd Annual Texans Kids Day presented by Texas Children’s Hospital. 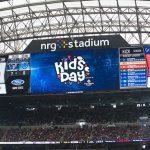 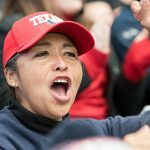 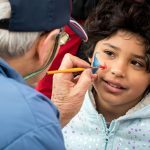 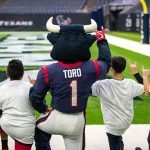 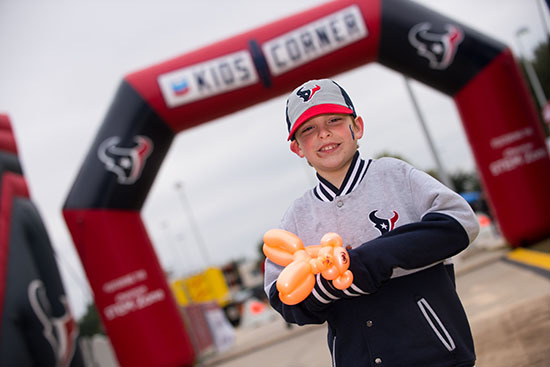 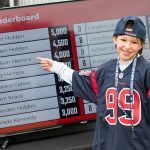 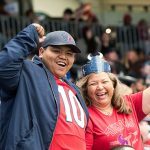 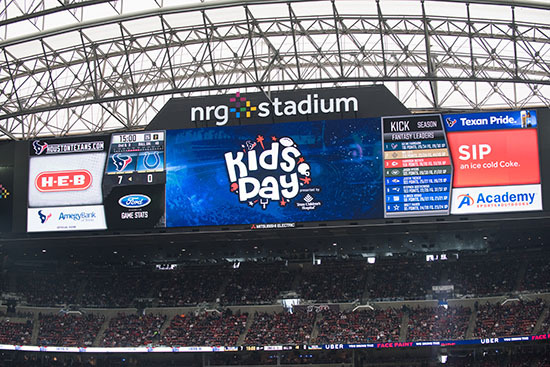 Texans Kids Day highlights the National Football League’s PLAY 60 initiative, a campaign that encourages kids to be active for 60 minutes a day in order to reverse the trend of childhood obesity. 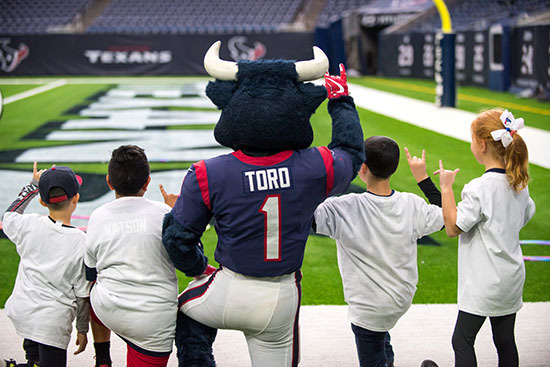 Texas Children’s Hospital, the local presenting sponsor of PLAY 60, was featured throughout Sunday’s game including signage, TORO headband gate giveaways and kids jobs. 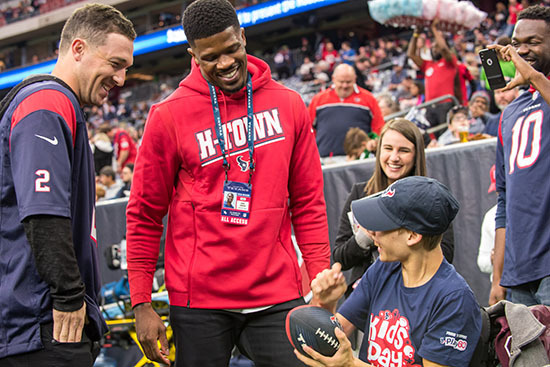 Additionally, GW McMaster, an avid Houston Texans fan and patient at Texas Children’s Hospital’s Inpatient Rehabilitation Unit, served as the Honorary Coin Toss Captain. 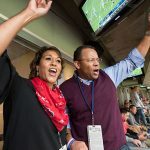 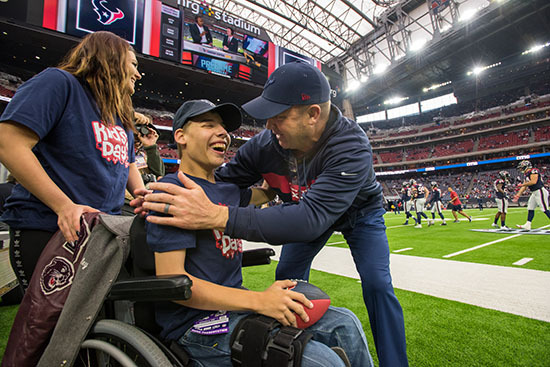 Before the game began, the 16-year-old and his family spent time on the sideline watching pregame warmups and taking in the incredible experience of his first Texans game. 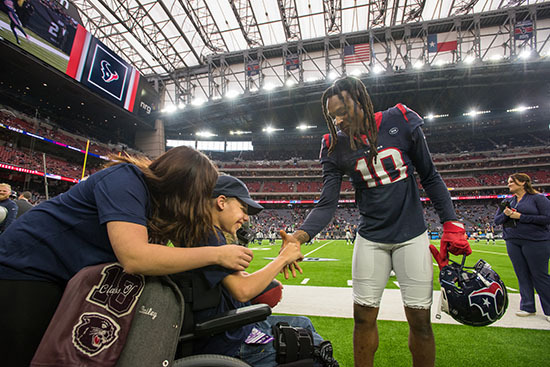 Shortly before the coin toss, GW met his favorite player, DeAndre Hopkins along with Houston Texans legend Andre Johnson and Houston Astros second baseman, Alex Bregman. 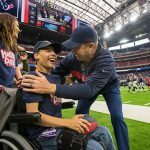 The smile on GW’s face lit up the whole stadium. 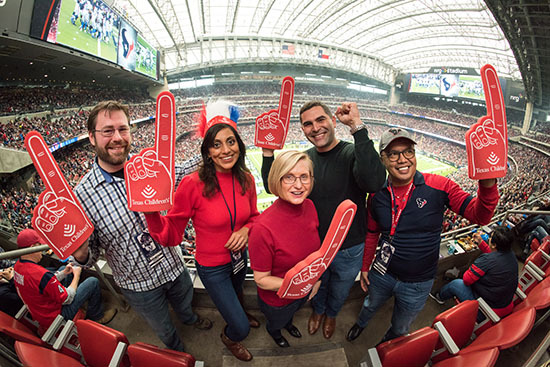 Nine employees recognized by the Texas Children’s Caught You Caring program as well as our 2019 Catalyst Award winners, their guests and leaders got to watch the game as a thank you for their compassion and dedication to the Texas Children’s mission. 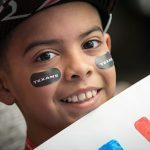 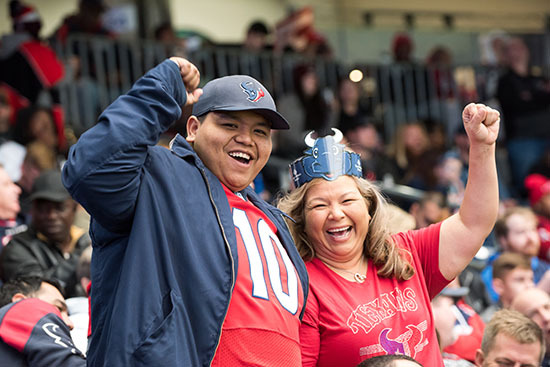 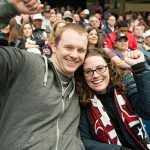 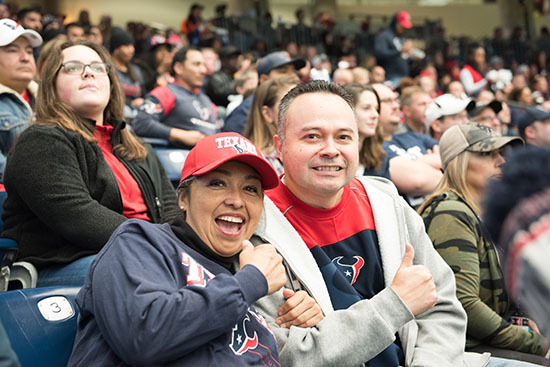 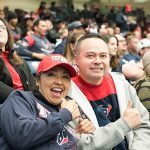 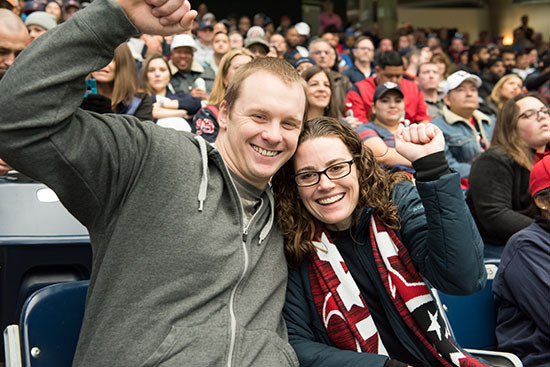 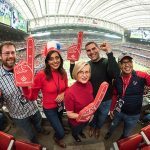 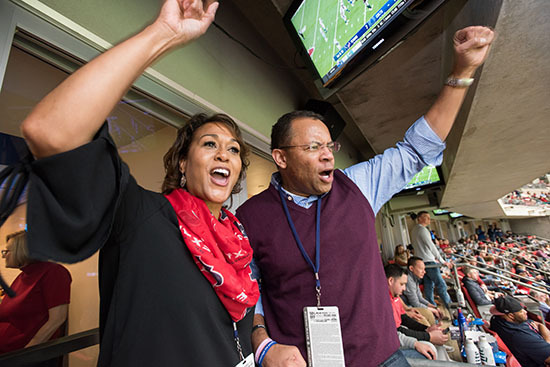 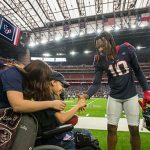 The tickets to the game are one of the benefits of Texas Children’s Hospital being the official children’s hospital of the Houston Texans football team. 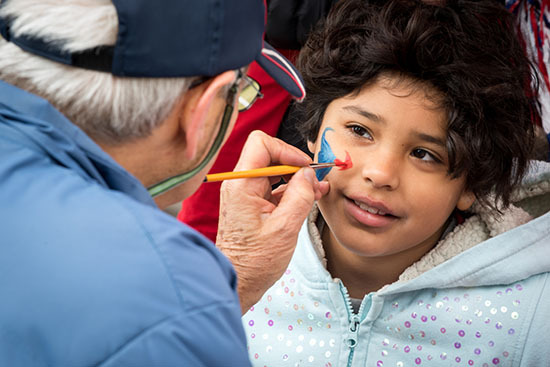 To learn more about those Caught You Caring recipients, click here. 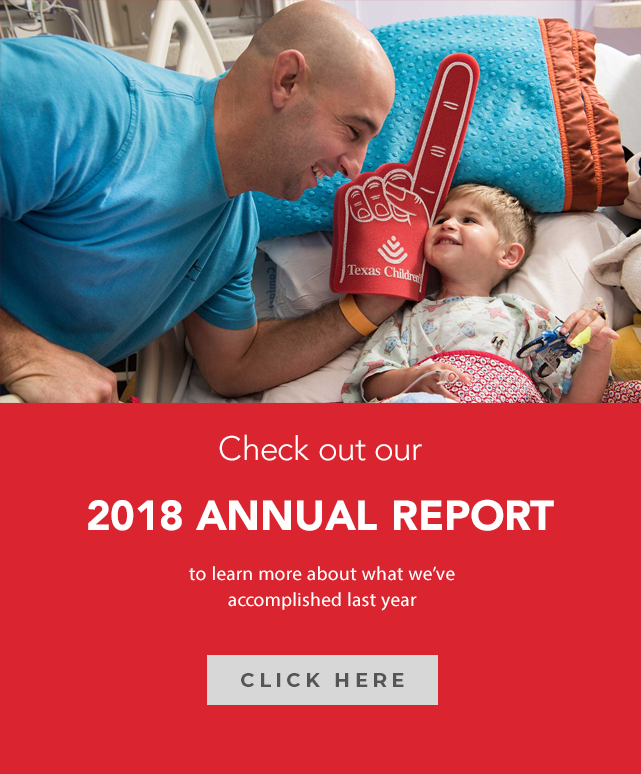 To learn more about our 2019 Catalyst Award winners, click here. 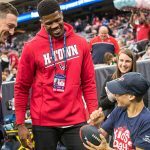 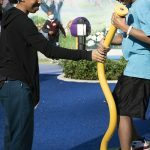 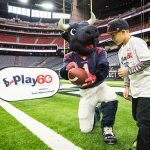 PLAY 60 Week ran from December 3 through December 9 and was full of fun events aimed at helping further the PLAY 60 message and get children across the Houston moving. 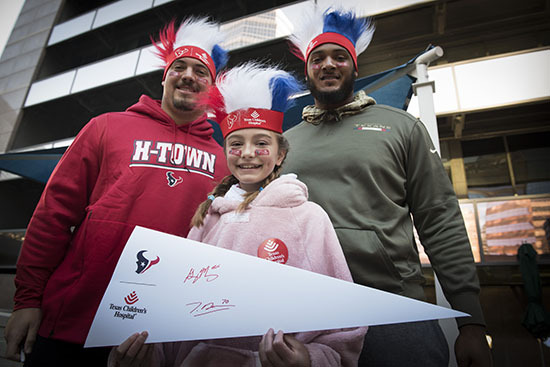 The week kicked off with Smith Legacy Tower being lit red, white and blue – the official colors of the Houston Texans. 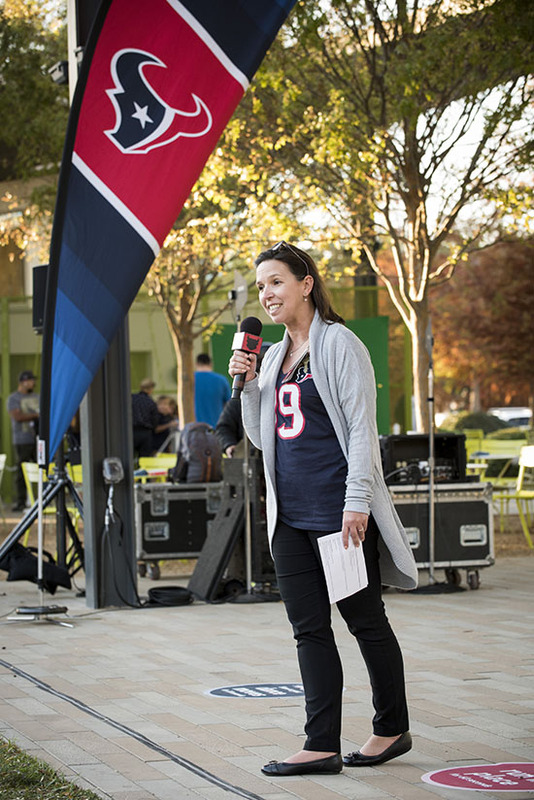 The building’s first and third floor lobby ceilings and east windows stayed lit in these colors throughout the week. 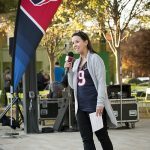 Below is a recap of some of the other events during the week. 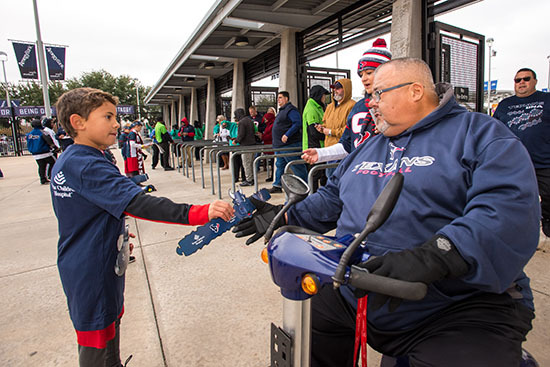 View photos from all of last week’s events below. 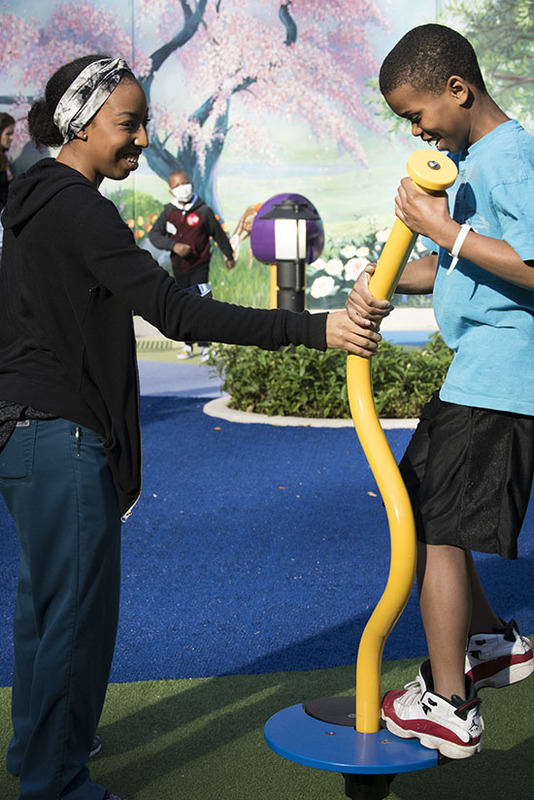 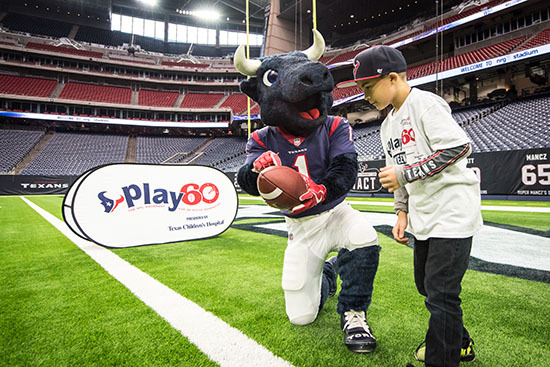 Last week, we hosted a pre-game pep rally at the hospital’s play garden to help get some of our patients excited about the game and remind them about how important it is to PLAY 60. 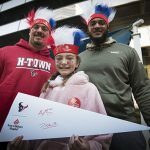 Texans players Greg Mancz and Julie’n Davenport, Texans Cheerleaders and TORO were in attendance and took photos, played games and signed autographs with patients and their families. 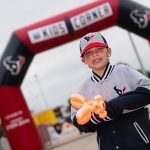 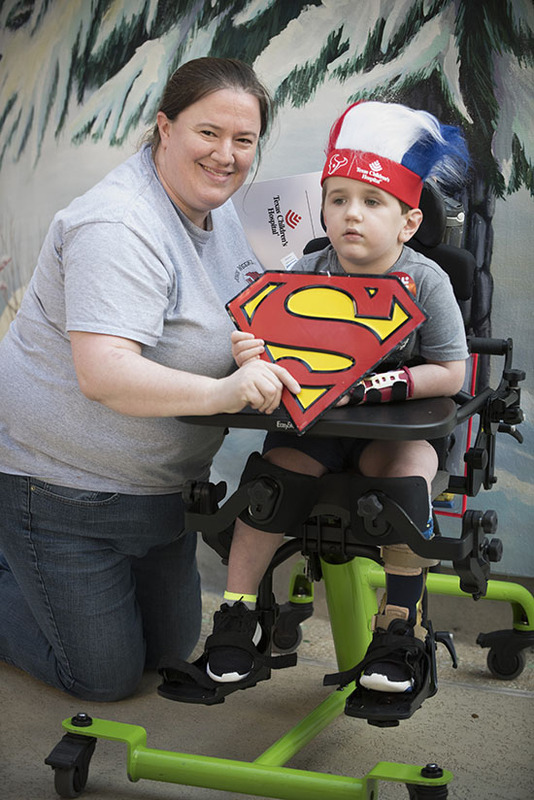 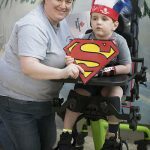 Texas Children’s Heart Center patient Taylor Berry also was at the pep rally sharing his story of being a three-time heart transplant patient and putting smiles on the faces of patients he sympathizes with so well. 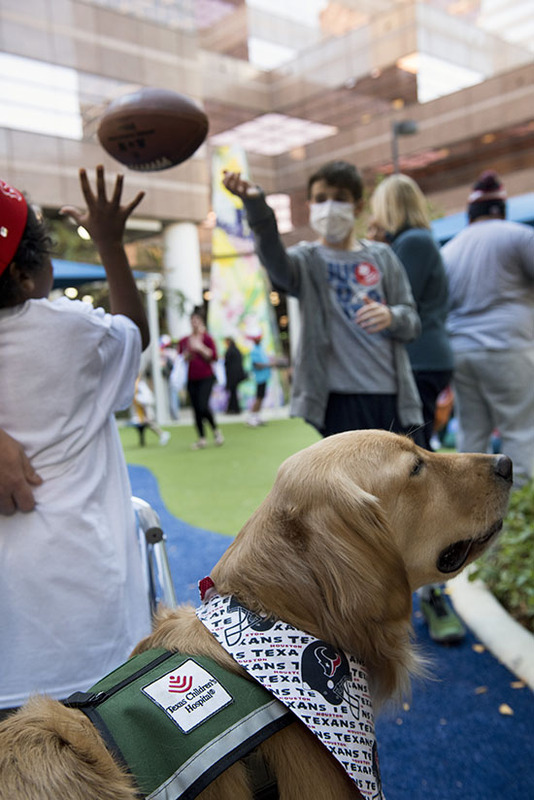 Click here to see a video of him interacting with patients. 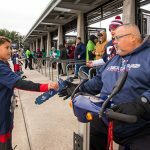 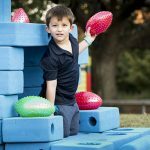 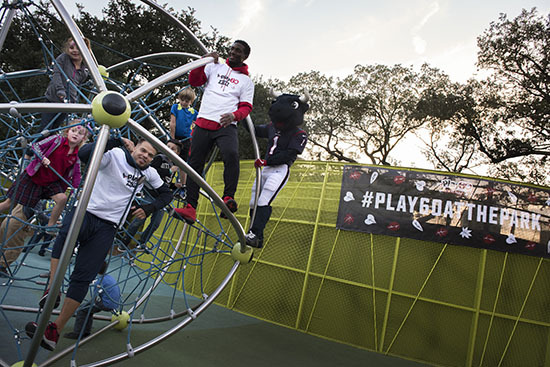 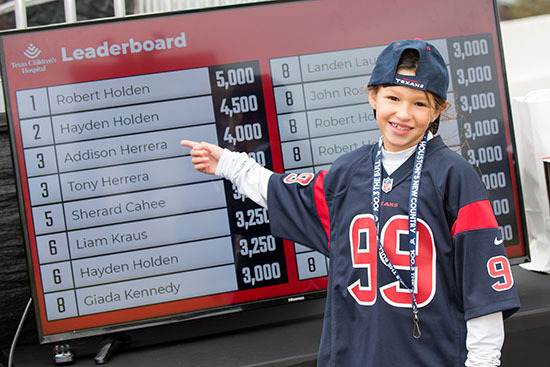 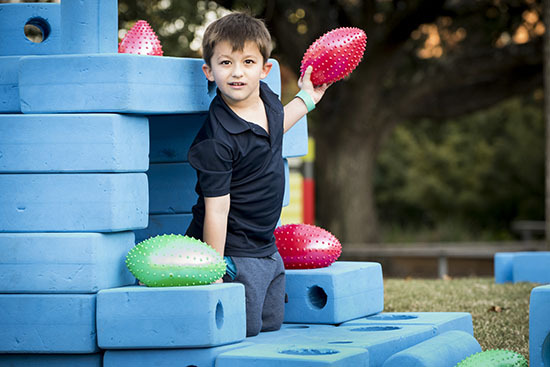 On December 3, Texas Children’s Hospital and the Houston Texans hosted the 2nd annual PLAY 60 at the Park event at Levy Park Conservancy to kick off PLAY 60 Week in Houston. 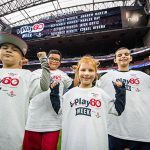 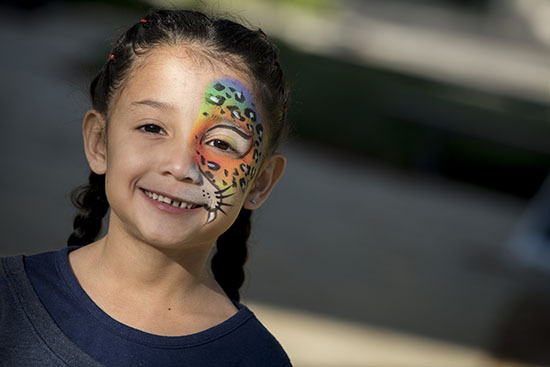 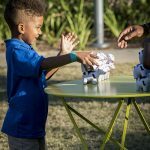 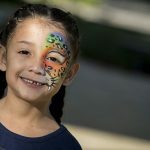 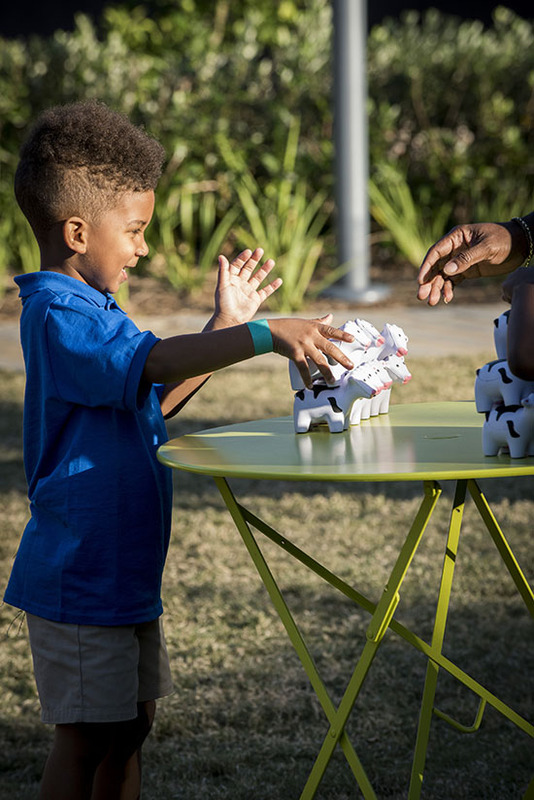 As the local sponsor of PLAY 60, the NFL-led initiative, which encourages kids to get at least 60 minutes of active play per day, Texas Children’s invited the community to join in an evening of fun and games aimed at keeping kids healthy. 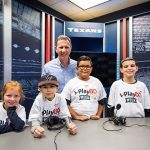 Special guests included Texans running back Alfred Blue and Texans linebacker Dylan Cole, Texans Ambassador Kevin Walter, TORO, the Texans Mascot, Houston Texans Cheerleaders and more. 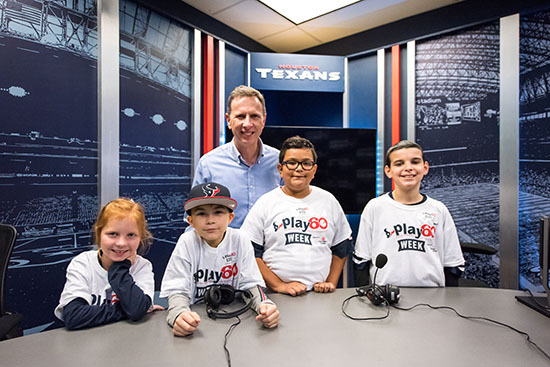 Last week, PLAY 60 Kid of the Month winners met for their special NRG Stadium experience which included Houston Texans prize packs, surprise visit with TORO, stadium tour, radio interview with the voice of the Houston Texans, Marc Vandermeer, and a walk on the field. 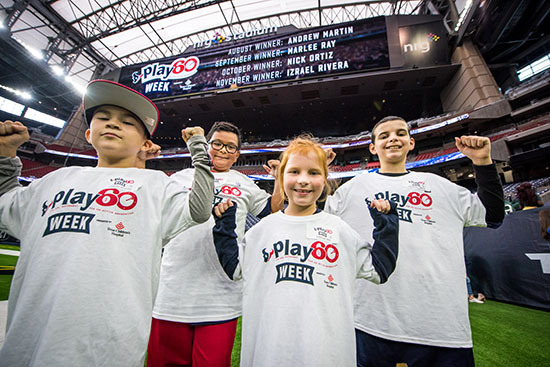 Thank you to everyone who applied to be a PLAY 60 Kid of the Month by showing us how you get your 60 minutes of play each day. 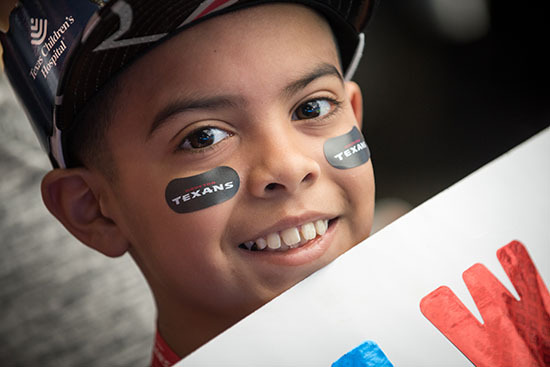 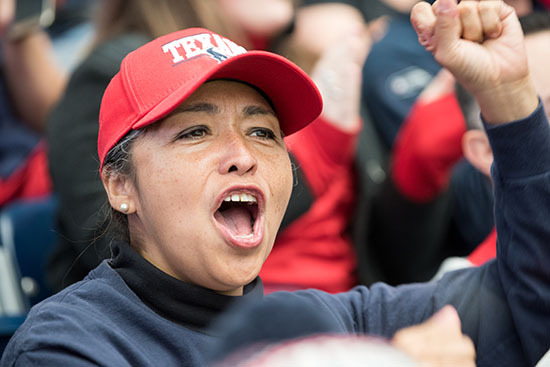 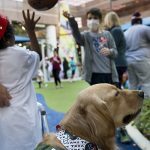 Texas Children’s Hospital and the Houston Texans are two winning teams that share one goal – keeping Houston kids healthy and encouraging them to be more active. 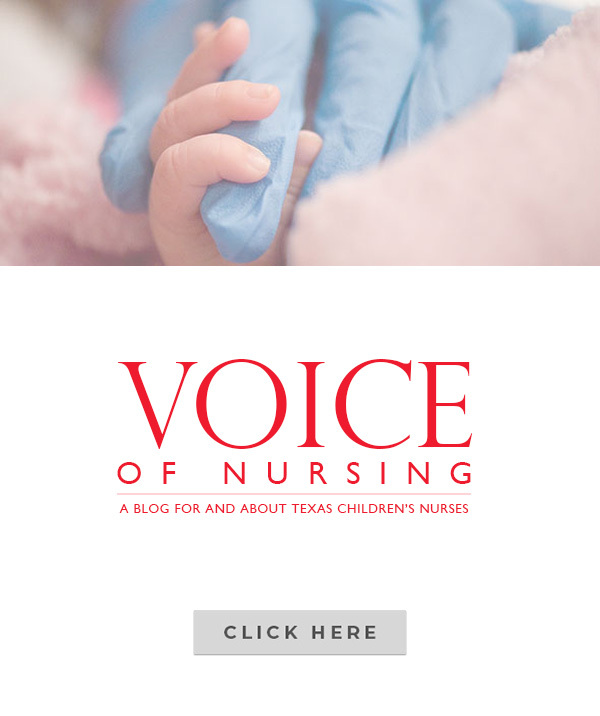 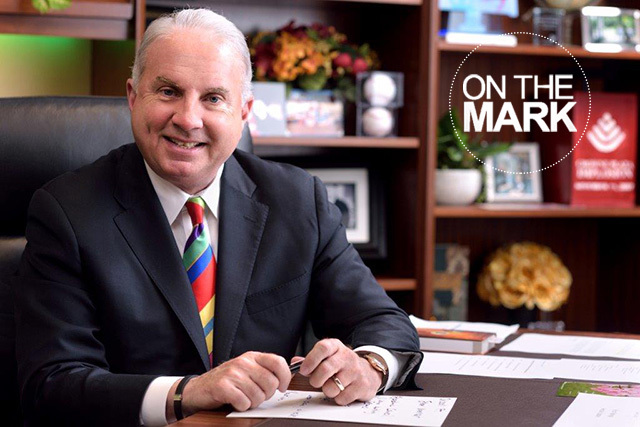 To learn more about our partnership, visit: texaschildrens.org/Texans.